Gigabit LTE technology is supposed to help service providers (SPs) overcome the data tsunami until 5G technology becomes commercially ready. At the same time Gigabit LTE will allow SPs to maximize on their current network investments by delaying significant upgrade costs and improving the spectral efficiency of today’s network. If optimized well, Gigabit LTE will offer a much larger data superhighway so that a lot of users can be served simultaneously with varied applications such as VoLTE, video, SMS, social media, etc. However, to achieve Gigabit rates, the signal to noise ratio (SNR) needs to be optimum. Otherwise, the receiver will not be able to demodulate transmitted data, thereby impacting channel capacity (bits/sec). The higher the noise (whether it is due to internal interference, suboptimal hardware performance, external interference, timing alignment errors, adjacent channel leakage, frequency error, etc.) the greater the impact on network channel capacity, and thereby the negative impact on ROI, user churn, CapEx, and OpEx. So, the question is, are service providers getting the most out of their Gigabit LTE networks? In this blog, I will try to identify how SPs can quickly check the performance of their Gigabit LTE network. transmitting and receiving spatial stream from different radio/antenna chains in the same frequency channel using MIMO. Validate the performance of the aggregated licensed and Wi-Fi carriers. RF engineers should validate the secondary downlink carrier’s physical cell identify (PCI). Unlicensed carrier PCI should be the same as the primary carrier in the licensed spectrum. As we know, the primary carrier is responsible for mobility and control, whereas the secondary carrier(s) in the unlicensed spectrum carries the data only. Validate synchronization conformance of aggregated component carriers to ensure expected throughput was achieved. Perform spectrum and interference analysis to help isolate any interference issues when launching and maintaining Licensed Assisted Access (LAA) service. Analyze the status of control, sync, and reference signal channels from each individual aggregated carrier, including a constellation analysis, frequency errors, and the corresponding antenna port being transmitted. This allows the technicians to quickly identify a potential faulty carrier that might be impacting the overall aggregated transmission. Analyze the 256QAM Physical Downlink Shared Channel (PDSCH). By using error vector magnitude (EVM), a technician can easily validate the performance of the new 256QAM modulated signal. Perform a 4×4 MIMO analysis by validating the transmission of the four chains associated with the same PCI. Using a signal analyzer and demodulating the Reference Signal (RS) for each chain and measuring the power and EVM of these chains separately can help technicians identify any MIMO-related performance issues. So which solution can perform all of this analysis most effectively? The answer is VIAVI CellAdvisor™ Base Station Analyzer. VIAVI has been working with multiple wireless service providers to help them realize the true benefits of Gigabit LTE. VIAVI CellAdvisor Base Station Analyzer is a portable field test solution that simplifies Gigabit LTE validation and troubleshooting. The signal analyzer function performs standard RF compliance testing for power and spectrum as well as modulation analysis. 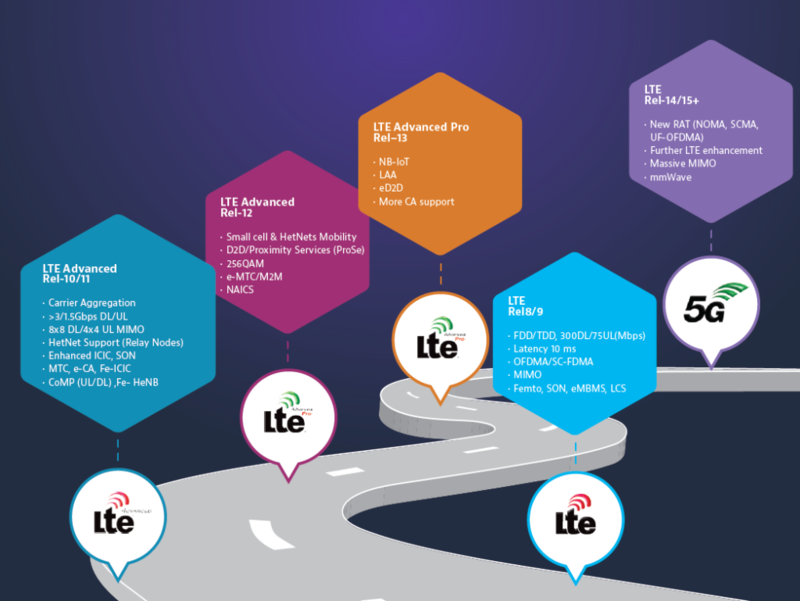 As service providers continue with their plans to offer Gigabit LTE service, they need test solutions that can help them quickly and easily validate and maintain that service. VIAVI RF test solutions perform all the necessary measurements that characterize the condition of radio access networks, including the proper identification of impairments, transmission conformance, and modulation quality with ease and reliability. To learn more about making the most of Gigabit LTE, download our new white paper, or join our webinar on June 5th.